Last Year: 13th with a 8-15-1 (-164) record and 21 points. Brian Smith was the fall-guy after failing to get the Roosters to kick-on after their 2010 Grand Final appearance... the keys have been handed to Trent Robinson but expectations might be higher in his first year than they ever were under Smith. James Maloney is a sensational purchase because he makes things happen in attack and the club wasn't finished there - also adding Michael Jennings, Luke O'Donnell and a bloke called Sonny Bill Williams in a range of incredible signing coups. 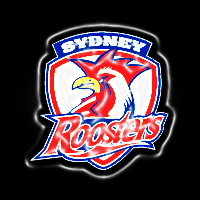 Maloney is a big upgrade over Braith Anasta and Sonny Bill is a match winner in the pack - the Roosters should hit pay-dirt from some if not all of these new faces. Josh AILAOMAI, Tinirau ARONA, Jack BOSDEN, Kane EVANS, Adam HENRY, Ben JONES, Isaac LUI, Sam MOA, Matt MUNDINE, Dylan NAPA, Michael OLDFIELD, Usaia O'SULLIVAN, Ivan PENEHE, Paul ROKOLATI, Nafe SELUINI, Tom SYMONDS, Lama TASI, Daniel TUPOU, Henare WELLS. Samisoni LANGI, Clarrie MOORE, Brandon TAGO. Moga won't play until mid-season, so Daniel Tupou is favourite to beat out Michael Oldfield for a wing spot. Sonny Bill Williams and Martin Kennedy are in some doubt for Round 1 due to injury, opening the door for Sam Moa and Tinirau Arona to make the squad. SYD: Minichiello, Tuivasa-Sheck, Kenny-Dowall, Jennings, Tupou, Maloney, Pearce, Moa, Friend, Waerea-Hargreaves, Aubusson, Guerra, Cordner. Bench: Nuuausala, Mortimer, O'Donnell, Williams/Arona/Kennedy. Both of the probable Round 1 wingers - Tuivasa-Sheck and Tupou have big play potential, though they both had tastes of the top grade last year. Though he might not get a run in the NRL this year - Samisoni Langi is highly regarded and was part of the Sam Perrett mid-season swap last year. And keep an eye out for Brandon Tago - the monster will be hard to miss if he does pop up in the pack this year. Presuming SBW actually plays - then Round 1's NRL season opener at the SFS is the place to be against the Bunnies on March 7. If he misses that game, then the next match at home is the Broncos on Saturday March 23. Also pencil in Round 6 when the Roosters host the Bulldogs and Canterbury fans get their first chance to 'cheer' SBW. Stay fit and start well - they'll play in September. The starting backline has weapons deluxe, but the end of season fortunes of the team come down to SBW's impact and health, as well as how consistent the holdovers are from 2012 - especially in regards to their defence. Talent isn't lacking, application is the question mark... and if they start badly and SBW isn't fit... okay Roosters fans - we won't go there. 10th | Given the talent that has been assembled this squad should play in September, but you don't win games on paper. 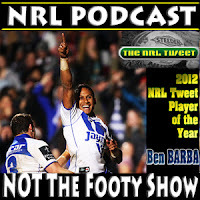 Can James Maloney or Mitchell Pearce take Ben Barba's mantle as the game's best player in the 2013 @NRLTweet Player of the Year Awards?